Anyway!! one of my favorite things about Fall is the food. stews. crisps. mashed potatoes. comfort food. =) pumpkin pancakes. pumpkin scones. pumpkin pie. turkey dinners (we enjoy 2 thanksgivings in our house. one Canadian. one American. yum! 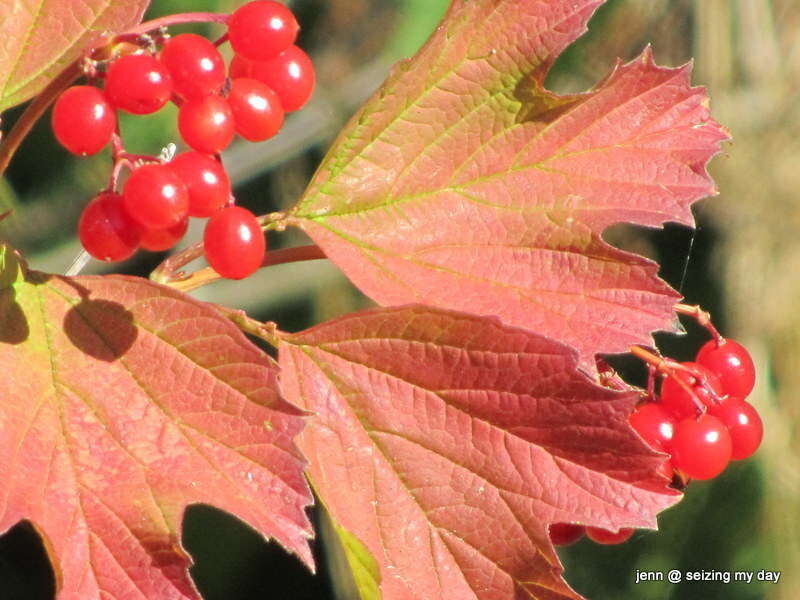 I could go on and on listing delicious Fall food … but you get the idea. Fall = warm, cozy comfort food. another one of my favorite things about Fall is the bright colors! this is from my cranberry bush that stands about 10 feet tall now! I thought it was a dwarf! ??? we’ll see! which I absolutely love!! 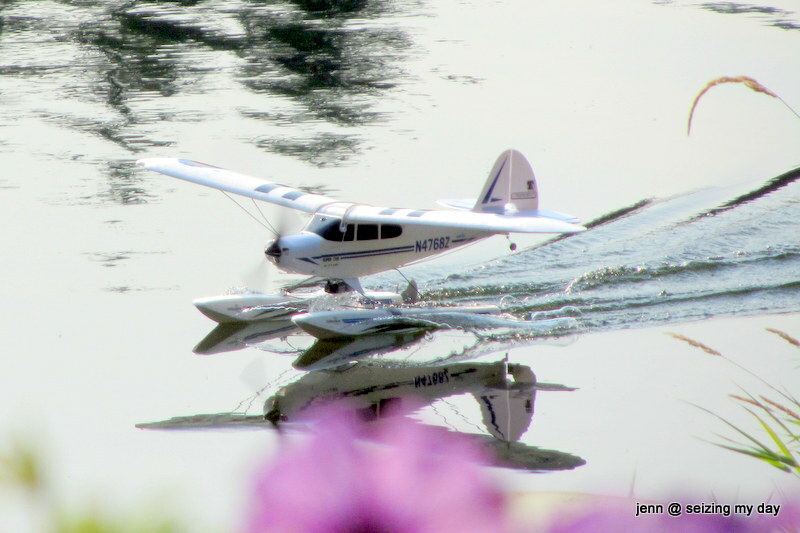 love how she captured the shake… the way Sammy is reacting to the shake… the boat in the background… the lake… the pilot of the plane… =) such a dreamy shot!! I love that Abby’s birthday is in the Fall and the weather is usually LOVELY! anywho… want to see the connection!?? what a treat to even watch the planes be flown! our Scottish peeps grandson was there flyin his planes… with his grandpa! and Merlin… poor Merlin… he ran away … around the house and into the street.. when we took him off leash … so he had to stay on his lead… he wasn’t impressed he couldn’t run with the puppies…silly naughty Merlin! 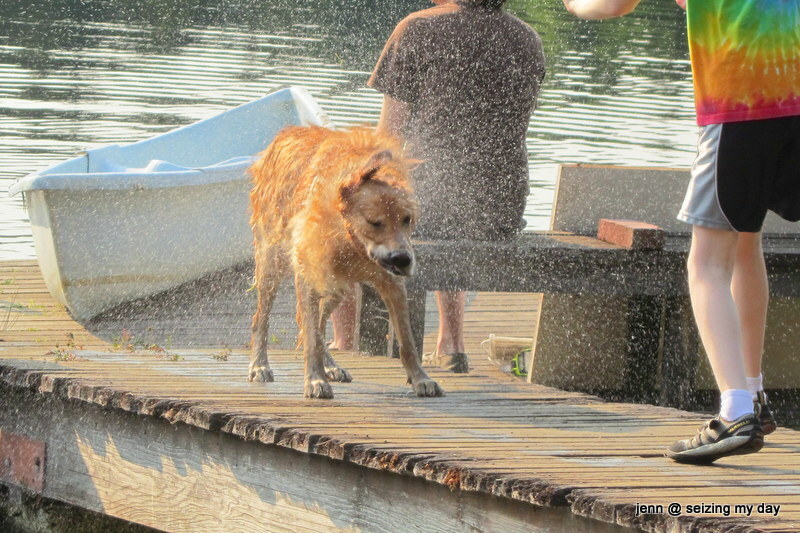 love this shot too… Abby in the middle of her birthday bliss! we hope to Seize the Sunny Days ~ as much as we can! how about you?? what is Fall weather like where you live?? What do you love about Fall in your area?! Time to post this and browse the land o blog! 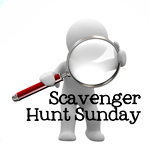 now go and see some more fun with pictures on Ashley’s blog! It’s cute to see her sitting there with all those pups very nearby, and they really were having fun, weren’t they? 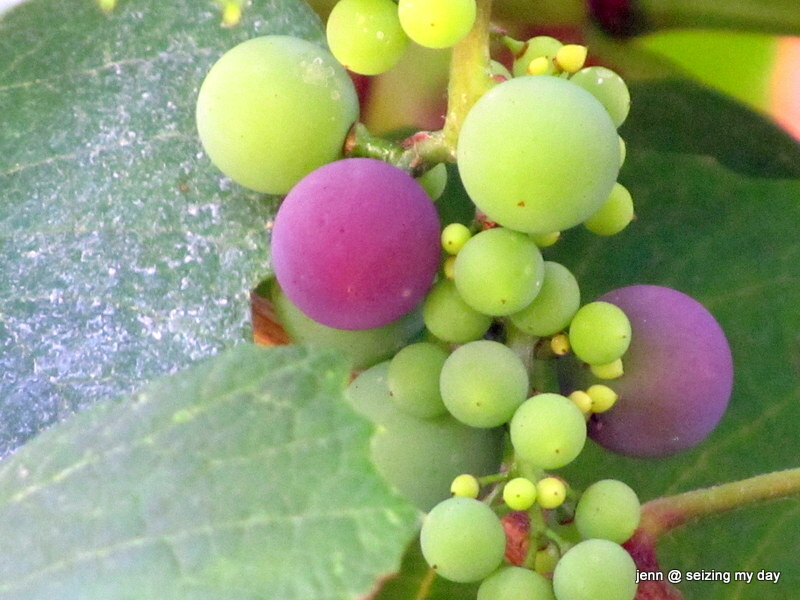 Your grapes are going to be spectacular, and I’m so with you on loving the colors and flavors of fall! Great job with the prompts. I think Abby did a wonderful job with her pictures. I really liked the one with the dog shaking. The dogs looked great in the Yellow shot too. Also enjoyed the Teeny Tiny shot of the Grapes and the Bright colored berries. I love Fall food, too – and your dinner is making me hungry! I really love those dogs, so much fun! I agree with you about the foods of fall! I look forward to soups, casseroles,and of course Thanksgiving! 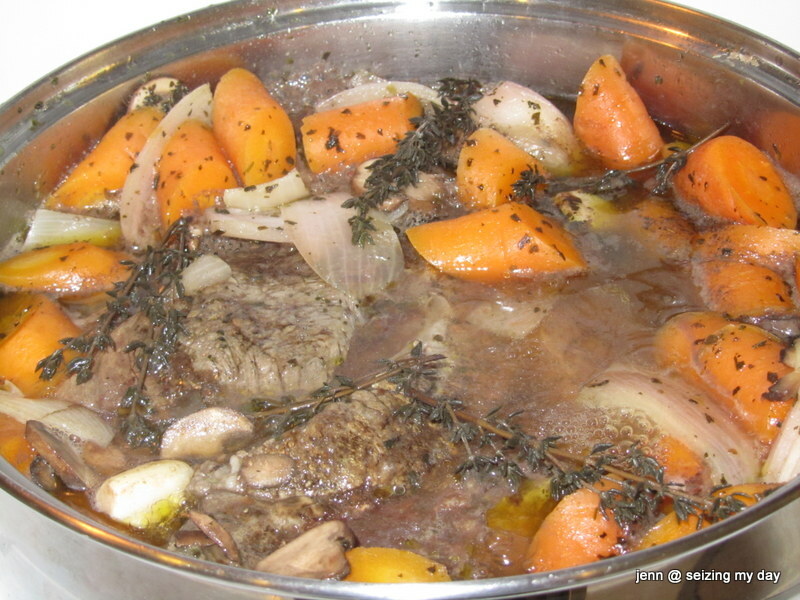 Your stew looks amazing. I’m sure the company appreciates the meal. Love your little grapes! Love the grapes shot!! The colors and the shapes… What a lovely combo! And your stew looks delish!! That stew looks delish! Makes me want to pull out my crockpot! Oh my gosh, these are all such great shots. I just love the one of the dogs running. It makes me smile. And that first shot looks so yummy.. time to pull out the crockpot. 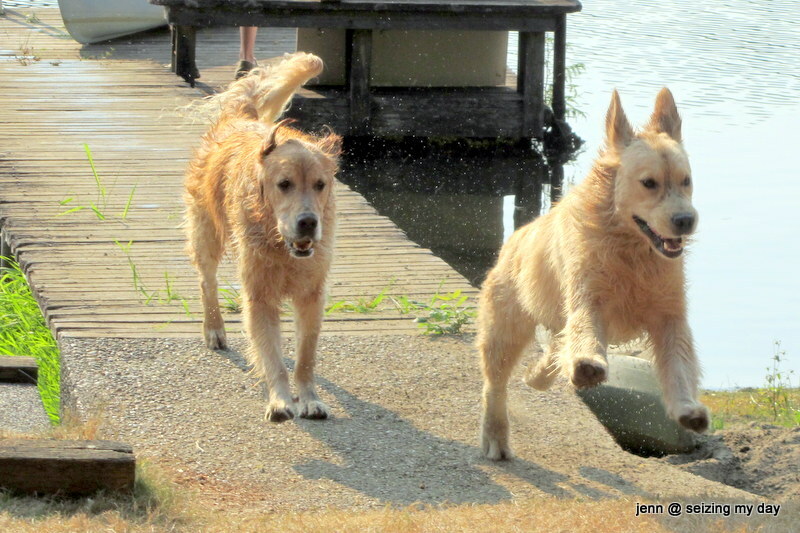 Such fun photos — especially those two retrievers. Cute! I love how fun your other photos are! 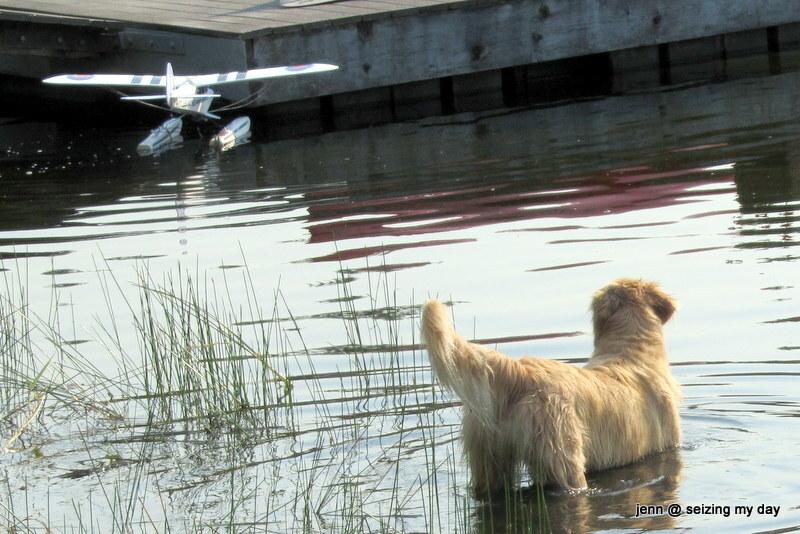 The dogs, the model sea plane… I love your set! That stew looks delicious! Great shots! So glad y’all are having great weather. Love all of these shots, Jenn…and your grapes are so cool! Well done – love Teeny Tiny!